Firstsite is delighted to announce WUNDERKAMMER, an exhibition of strange and curious objects drawn from the collections of Colchester and Ipswich Museums. Tying in with the gallery’s year-long theme of ‘Identity’, WUNDERKAMMER – after the German term meaning ‘chamber of wonders’ – features an array of treasures selected for their relationship to the town. For example, it includes Arthur Ackland Hunt’s painting Dr. William Gilberd showing his experiments on electricity to Queen Elizabeth and her court (c. 1900), which is on loan from Colchester Town Hall. 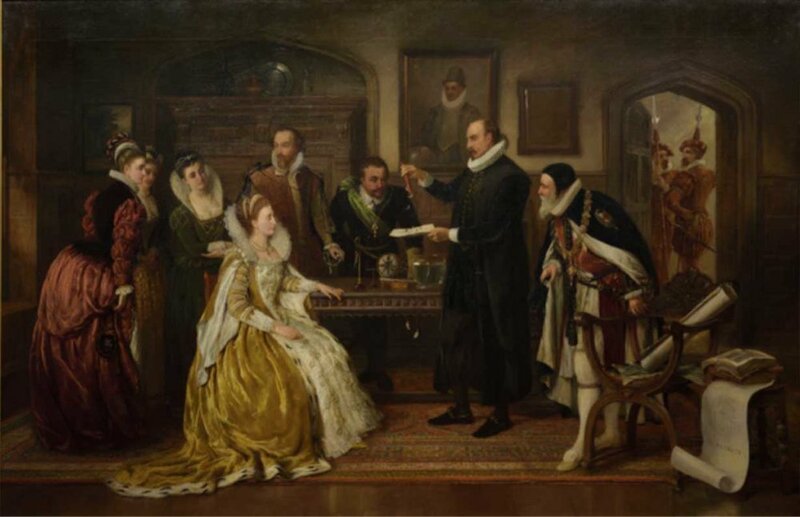 Pictured above: Dr William Gilberd showing his experiments on electricity to Queen Elizabeth and her court by Arthur Ackland Hunt, c. 1900, oil on canvas, 142cm x 218 cm, courtesy Colchester and Ipswich Museums.